Fasting can be a powerful tool in one’s wellness optimization toolkit  to provide a nice metabolic reset. I’ve demonstrated this in other personal experiments involving both intermittent fasting (IF) and Fasting Mimicking Diet (FMD). But what about a water-only fast? Over the first 2.5 days, my glucose levels gradually dropped while ketone levels increased. But then at around 36 hours, something magical happened – my ketones start to rapidly shoot up while glucose levels drop (then stabilize). And at 72 hours my ketones were skyrocketing into “therapeutic” levels as my Glucose Ketone Index (GKI)  dropped below 1.0 (GKI is a way to monitor the state of your metabolic health, used in many metabolic studies on ketogenic diets, fasting, and cancer). Looking at this data, I did probably miss out on some of the therapeutic fasting benefits by not extending my fast/increasing my GKI by another day or two, so perhaps in the future I will try a 5 day water-only fast. Weight loss was not a goal for me, but I lost over 6 lbs during the fast (168.9 lbs to 162.7 lbs) which I attribute to passing previously undigested food and some fat loss. My stomach definitely felt flatter and less bloated after the fast. I also tracked my blood pressure during my fast and was happy to see that my systolic blood pressure dropped almost 20 points, and my diastolic dropped by over 10 points. It’s a wise idea to get some adequate nutrition prior to starting a fast. This includes high protein foods (animal and/or plant based), vegetables, and fruits (which will help with hydration and provide fiber otherwise you may experience some constipation). Avoid high sodium foods, which may cause bloating. To ensure adequate hydration (and to maintain a sense of “fullness”), I would consume approximately 2 liters of high-quality mineral or spring water each day (these waters provide the added benefit of some added micronutrients). Some brands I recommend are Mountain Valley, Icelandic Glacial, and San Pellegrino, and I would mix things up throughout the day, switching brands and occasionally having some carbonated water. Also, each morning I would consume some sea salt or pink Himalayan salt mixed with some water to help my body maintain electrolyte balance throughout the fast (important!) and provide some support to my adrenals. Since my goal was to conduct a water-only fast, I avoided all coffee, teas, and caffeine, which also provided my body with a nice break from daily caffeine consumption. While it may be ok to consume small amounts of black coffee or green tea during a fast (typically during extended fasts where weight loss is a goal) it will surely trigger some digestive processes in the body. I don’t think it’s “wrong” or “right” to have some tea or coffee, so experiment and see what works best for you. 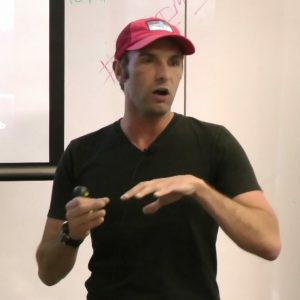 I used to be of the mindset to avoid any exercise while fasting because of added stress it would put on the body and risk of the body catabolizing muscle for fuel, but after digging through research from fasting experts who show some of the great benefits of training in a fasted state , I now incorporate some strength and cardio training during my 3-5 day fasts and have seen no negative effects. 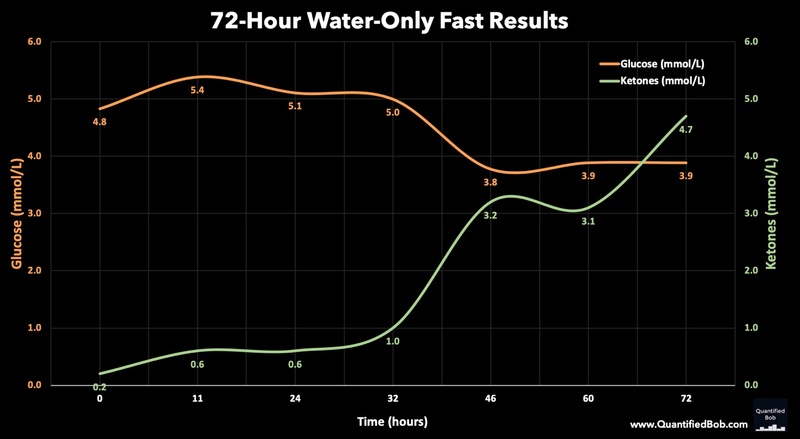 Perhaps if someone was doing a longer (5+ day) water-only fast they may want to take it a bit easier if they can’t meet the energy demands, especially towards the end of their fast. I did my fast over a quiet 3-day weekend (no work, social obligations, etc. ), and in retrospect I would recommend scheduling when you are busy, for example, during the work week – time goes by much faster and you are less likely to think about food! Sitting at home during the weekend watching football (and lots of food and beverage commercials) can be mentally painful. Preparing to break my fast with some green tea and cashews. I love how I feel after doing an occasional fast, and will continue to incorporate fasting into my wellness regimen – doing quarterly water-only fasts in addition to daily intermittent fasting and the occasional 5-day Fasting Mimicking Diet. My advice is to start simple – try a basic 18- to 24-hour fast and work your way up from there. Doing it with friends or a peer group also makes the experience much easier. Good luck!